Kids love to help out in the kitchen when the end product is cakes, pies, or cookies. Though even the simplest of assigned tasks can turn into a kitchen disaster in the blink of an eye, cutting cookies has always been a pretty reliable assignment. 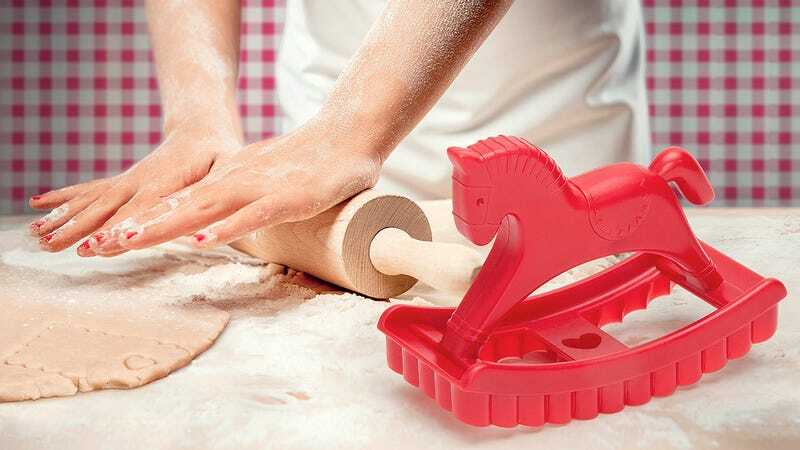 Now, it's even easier for young'ns with this adorable rocking horse cutter.